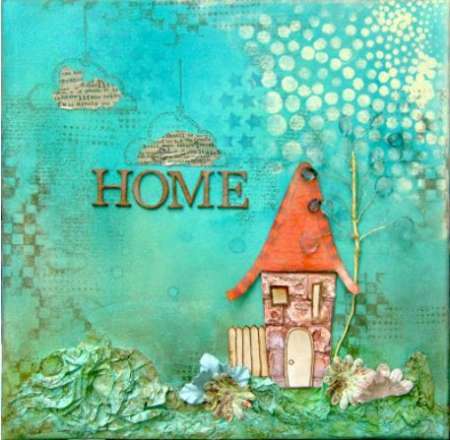 The Scrapin’ It blog has a video tutorial for making a wonderful mixed media canvas. 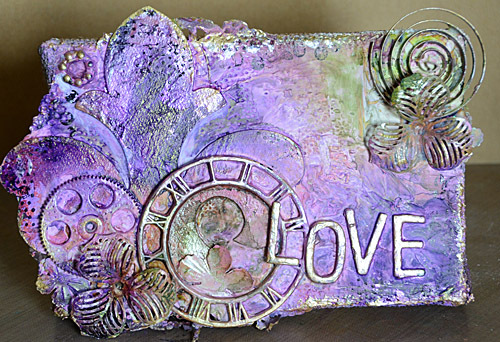 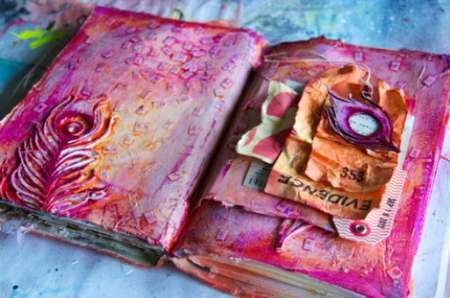 You’ll learn how to incorporate stamps, molding paste, sprays, tissue paper and more for making your own cool art piece. 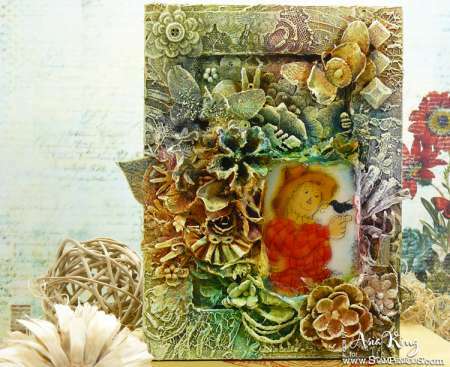 Here’s a wonderful mixed media background technique that uses stamps from Whiff of Joy. 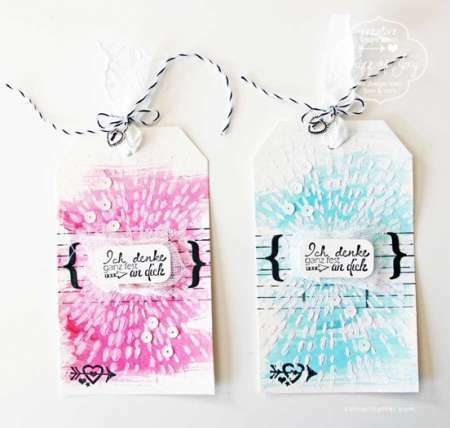 This is such an uber cool effect! 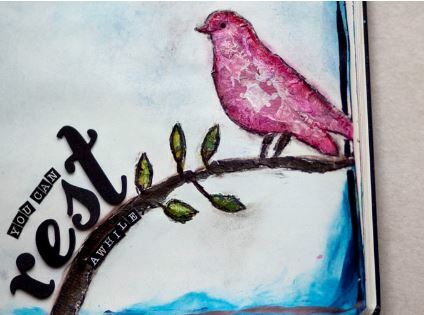 Neil from Neelz Expressionz shares his mixed media enameling technique using dry and heat embossing and paint on paper. 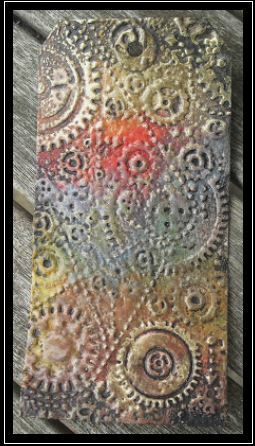 Wow, it looks like metal doesn’t it? 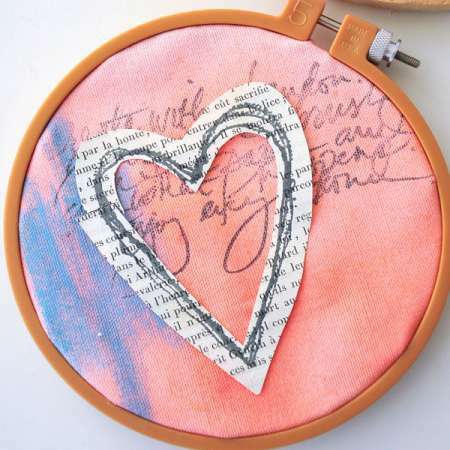 Here’s a pretty little project from Stampington and Company combining canvas, Gelatos and stamps for a mixed media wall hanging. 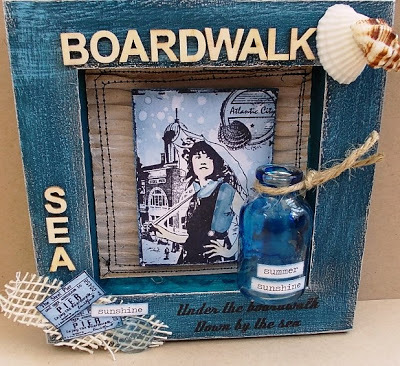 Tracy Evans shares this stunning Boardwalk beach themed mixed media piece on her blog. 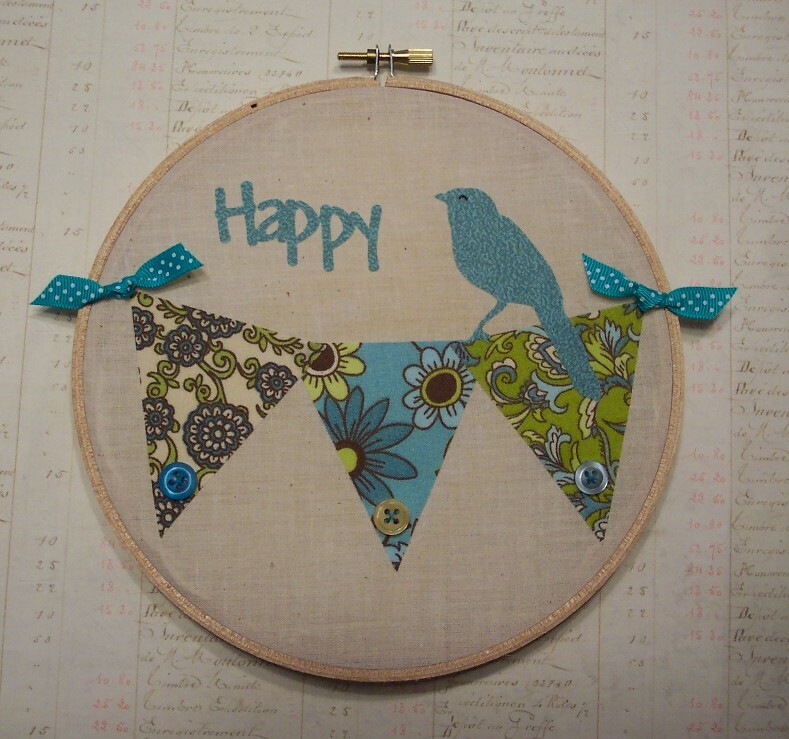 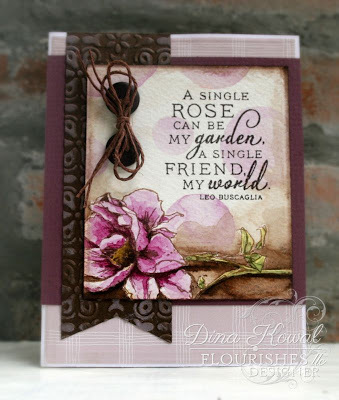 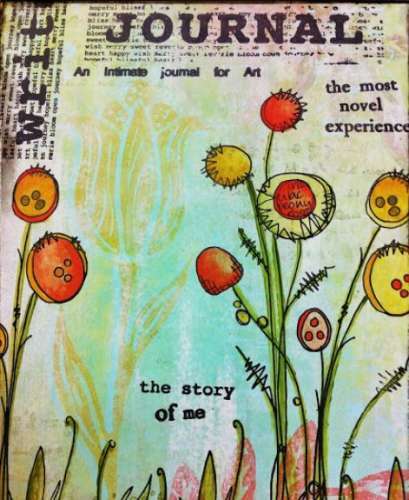 I love the combination of all the different elements she used (including stamps from Artistic Outpost). 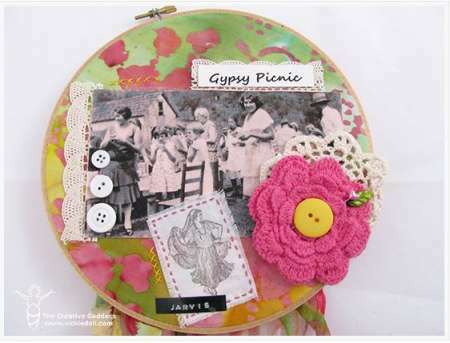 Makes me want to go to the beach! 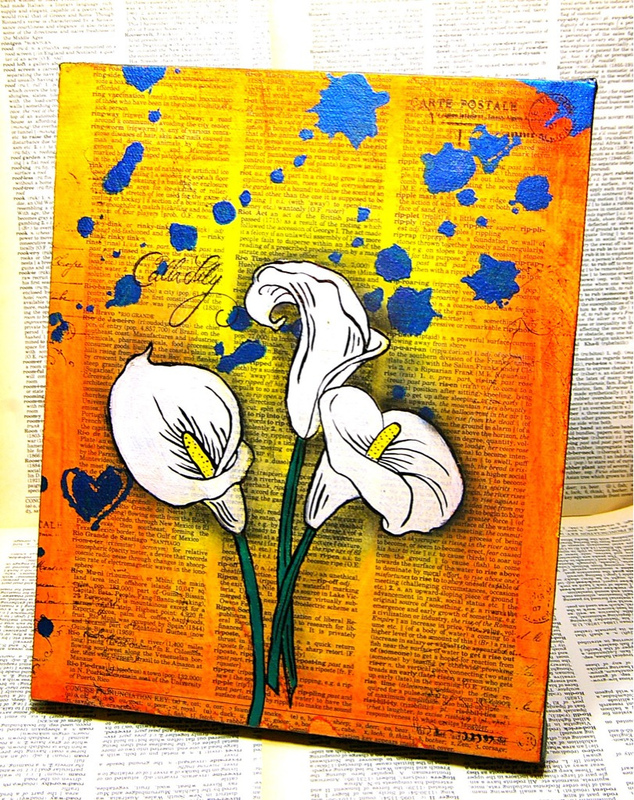 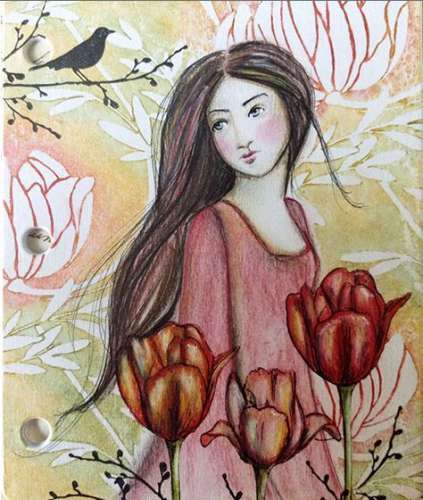 The Stampendous blog has an amazing mixed media project to share using a very large lily stamp as the focal point on this art canvas.